Sick of Black Friday deals yet? I actually thought it was last week because there were so many offers around, but then today morning my inbox has been rammed full of 'deals' to remind me that it is indeed today. Then, just as we think it's all over, then come the 'don't worry we've extended our Black Friday offers' and then Cyber Monday follows swiftly after. It's never ending. Who wishes we could go back to the time of January sales, when sales were in January and only in January. 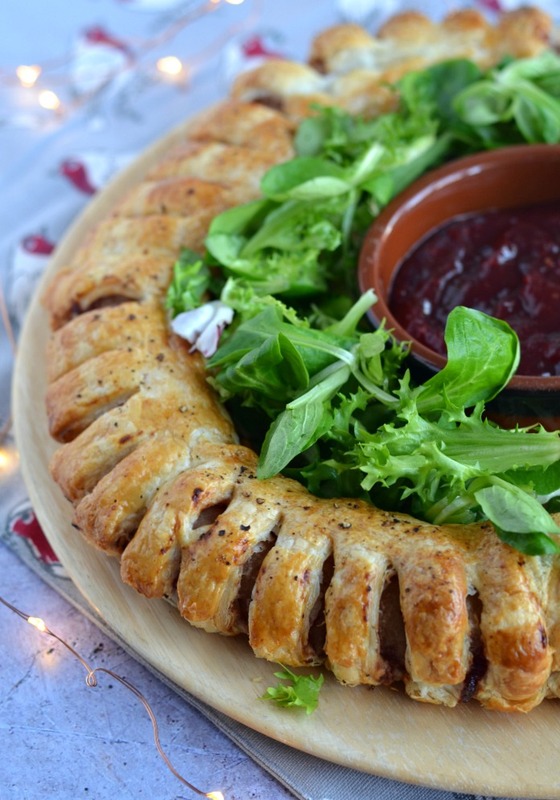 If you're looking for a Black Friday deal here then I'm sorry to disappoint, but if you've come here looking for quick & easy home cooked food then you've come to the right place! 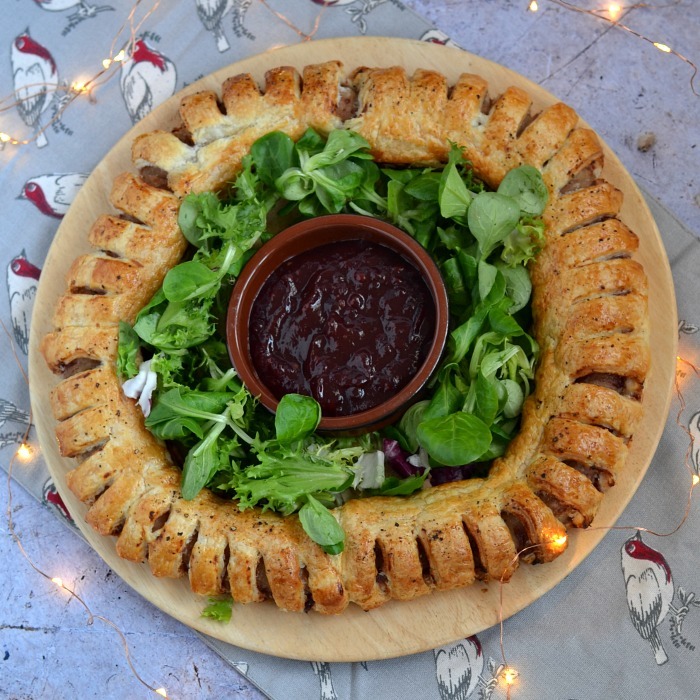 Ready made puff pastry with ready made sausages and cranberry sauce, all bundled together to make this sausage roll wreath which will be devoured in minutes at the family Boxing Day buffet or festive get together with friends. I have a little confession to make about sausages. 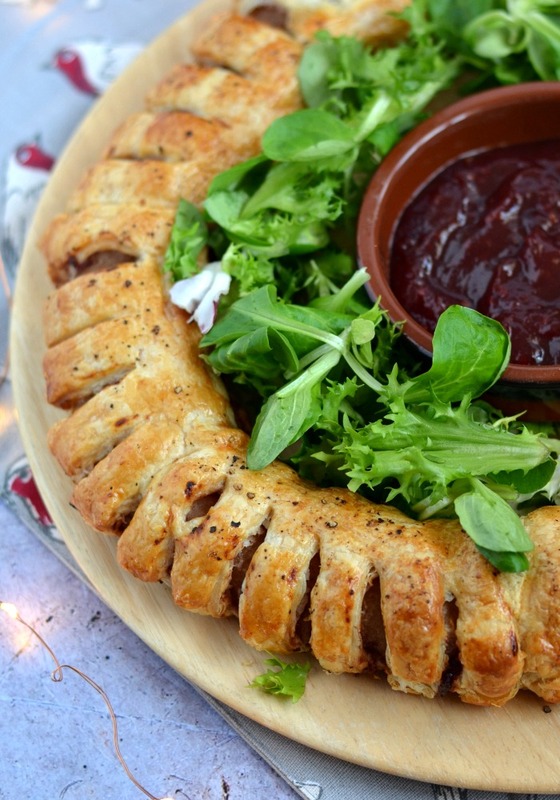 I buy a bag of 20 frozen sausages every week for 99p, and the family love them! My husband has never commented on a sausage as much as he's commented on these so now they get them every week in one of their favourite meals - bangers and mash, and I use frozen ready made mashed potato too! Winning! 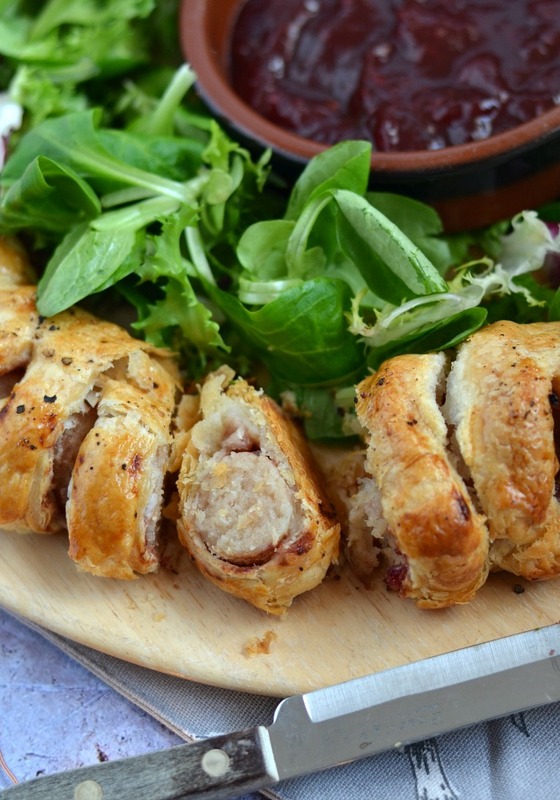 Yeah the sausages might not have a very high pork content, but they are a lot lower in fat than many other sausages, and they work perfectly in sausage rolls, so as long as everyone is happy and they enjoy eating them I'll continue to buy them. I'll still buy the lovely flavoured sausages for the bbq in the Summer, but when they all want 4 or 5 sausages (and more) for a meal, it's a lot more cost effective to buy these.